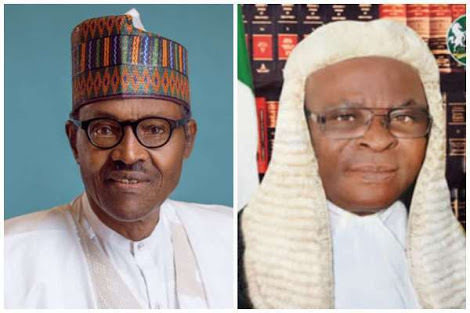 Popular human rights lawyer, Femi Falana (SAN) has finally reacted to the suspension of the Chief Justice of Nigeria (CJN), Walter Onnoghen by President Muhammadu Buhari. "I have had cause to call on the Attorney-General of the Federation, Mr. Abubakar Malami (SAN) to withdraw the charge of false declaration of assets filed against the Chief Justice of Nigeria, Justice Walter Onnoghen at the Code of Conduct Tribunal. The call was without prejudice to the merit of the serious allegations levelled against the Chief Justice. In line with decided judicial authorities I had wanted the National Judicial Council to investigate the allegations. Unfortunately, the 88th statutory meeting of the NJC scheduled to hold on January 15, 2019 which could have deliberated on the matter and take an informed position was postponed indefinitely on the directive of the embattled Chief Justice. "As the battle shifted to the courts, both the Judiciary and the Executive were forum shopping for court orders from the Federal High Court, the National Industrial Court, the Code of Conduct Tribunal and the Court of Appeal. In the process, settled principles of law were sacrificed for the exigency of the moment." "Thus, at the 15th annual Gani Fawehinmi lecture which held in Lagos on January 15 2019, I was compelled to warn against the dangerous trend. Regrettably, the warning fell on deaf ears. Curiously, in an act of brazen impunity, the Executive procured an ex parte order from the Code of Conduct Tribunal for the immediate suspension of the Chief Justice from office. 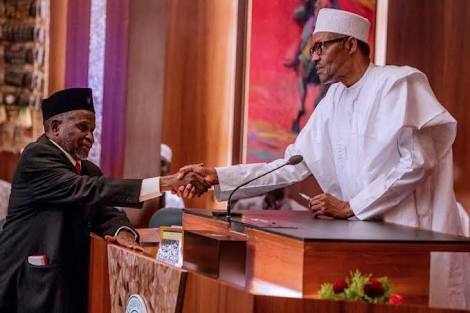 In his purported compliance with the ex parte order, President Mohammadu Buhari has announced the suspension of Justice Onnoghen as the Chief Justice and appointed Justice Tanko Mohammad as the Acting Chief Justice. "However, notwithstanding the inauguration of Justice Tanko Mohammad as the Acting Chief Justice the legal profession should not hesitate to review the entire Onnoghen saga in the interest of the nation's judiciary. In Elelu-Habeeb v AGF (2012) 40 WRN 1, the Supreme Court held that by virtue of section 292 of the Constitution the heads of the judicial arms of the state and federal governments in the country cannot be removed without a prior investigation conducted by the NJC. Consequently, the apex court set aside the purported removal of the appellant as the Chief judge of Kwara State upon an address forwarded to the house of assembly by former Governor Bukola Saraki. Therefore, the National Judicial Council should convene and constitute a committee to investigate the allegations leveled against the Chief Justice and make appropriate recommendation to the relevant authorities. "Meanwhile, the legal team of the Chief Justice should proceed to challenge his suspension from office either at the Code of Conduct Tribunal or the Court of Appeal." Despite the gravity of the allegations levelled against the Chief Justice the illegality of the suspension should not be allowed to stand. The ex parte order is a suspect document as the motion ex parte on which it was predicated was allegedly filed on January 9, 2019 while the substantive charge against the Chief Justice was filed at the registry of the Code of Conduct Tribunal on January 11, 2019. Furthermore, the counsel who argued the motion is not indicated in the ex parte order. However, in view of President Buhari's belated fidelity in the rule of law the federal government should comply with all valid and subsisting orders of competent municipal and regional courts made against the federal government. President Buhari should not be permitted to choose and pick orders of courts to obey."